Opti Brain is an evaluation app and what we can do is hook it up to collect and this happens to be a display of some of the brain maps. We can map several different frequency bands on the app. We mostly like to compare between or within a person; so we might have them in a resting state and then we might have them in performance state. We have them thinking one thing versus another, and we can start to look for the differences and see which ones create the most synergy or serenity if that’s what we are after. So the compare feature has been really helpful in the Opti Brain App. Opti Train is the other app and has something called serenity in it which is going to teach you pretty much how to quiet all four of the brain sensors. It’s really a measure of efficiency in the brain. It isn’t a measure of relaxation. Synergy is the other side and the one that’s for performance. It’s the final second right before you initiate motion that we like your brain in a synergistic state. People get there all different kinds of ways that’s unique to them. 30 years of research kept showing us this pattern of synergy that exists right before people pull the trigger and that is actually what is pretty addictive about performance. People are often asking us, what are the strategies that I am supposed to be using in order to get into a place of serenity or synergy? The music in the videos are designed to help them figure it out for themselves. 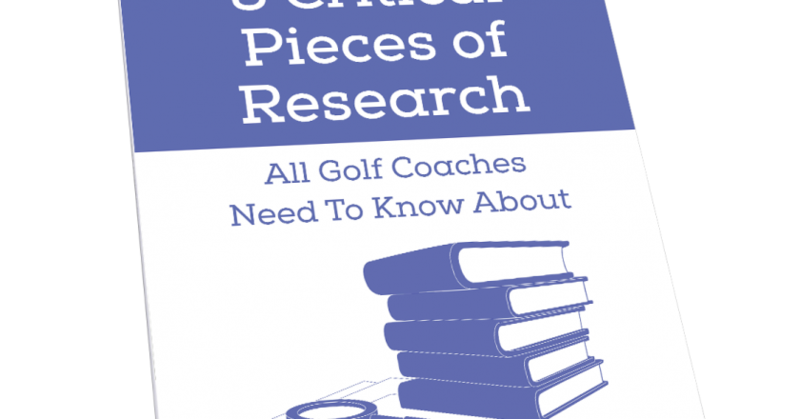 We do help them and just like a teacher or a coach, they’ll come in and help the student or the golfer with what they might be thinking about, and in our early research, the cues that people told us they were using when they performed their best were target and feel. So some people will do that; they’ll go and be more focused at the target or they’ll be more into the feel of the motion that they are doing, and that will help them lower into the music and get them into a good place. I’d say the other half of the people have no clue what they are doing and that’s okay because the brain is still being trained: Neurons that fire together are wired together. So, as long as they keep doing the trials and they keep lowering the music, they are learning to create that pattern in their brain. A lot of people are worried that when they get on the golf course, the pattern won’t be there, but that is not the case because they are training a pattern just like you do with your physical skill. About half of the people have no clue what they are doing, but they are still training the brain and I think the reason is that the apps are training how you think. The teacher or the instructor or the person can come in with what you think and that’s kind of the window into your focus of your attention. In my research what I have seen over the years is that how you think is equal, if not more important than what you think. So the app can teach you how you think. One of our recent episodes with training was a lady who is a four handicap, very good amateur, a very successful business person who came because she was having trouble with the yips, chipping yips actually. So, I did some of the things I normally would do with people in terms of behaviors and routine. I pulled out the headset and got her on the music. The music is just playing in the background and she is performing some chips. I couldn’t believe the change in her demeanor; she got very quiet, very focused and started chipping quite well. I think she only did maybe 15-20 chips, I asked her what she was doing because her demeanor was so different. She says, “Well, I’m just lowering the music, that’s all I am doing.” I learnt the next day that she went out and played in the afternoon and shot 66. It was a pretty good story. I think she got in a place that I’m not sure she’d ever been in before, on the golf course and it helped her perform much better. Opti International is a performance optimization company and our goal is to help people be better than their best so a lot of times I think our intention is to be the best we can be and perform the best we can. What we started with was actually the old electrodes from long ago when we were testing that proof of concept for the idea of synergy in the brain which came about 30 years of research then the Muse came along and the Muse is a very good portable easy system to use. The Muse has four sensors on it, four locations and these four locations are excellent for differentiating performance in sport. So we were really excited about being able to use the Muse for Opti. It’s easy and you can just slip it on and go out on the golf course. We wrote the apps that go with the Muse headband and our goal to write the training apps were so that we can train people by using music or videos to get into their good state of serenity or synergy. That one is called Opti Train and along the way we created Opti Brain which is an evaluation apps. Opti Brain will simply go through and collect the data from the sensors and map them for you so you can see the patterns from the brain and different frequency bands and then it will also give you the numbers so you can compare it and see what’s going on. We do actually have a compare feature in Opti Brain which you can compare your best putts with the ones that weren’t so good. You can compare your putting with your driving. You can compare different strategies that you might want to use in your brain and see how they look in terms of brain maps. And then, Opti Brain and Opti Train speak to each other so whatever you train in Opti Train you can bring over to the app in Opti Brain. Dr. Parent: Yeah, I’m happy to do that. The NINJA technique for changing habits, that you find in Zen Golf and in the Best Diet Book Ever and my other books, then NINJA technique for changing habits, the letters stand for Necessary Intention Non-Judgmental Awareness. So, first you have to have necessary intention. There was an old psychologist joke, ‘How many psychologists does it take to change a light bulb?’ The answer is, only one, but the light bulb has to want to change. So, the joke is, it’s based on the truth that for somebody to make a change, they have to have a strong desire, they have to want to change. That’s the N-I of NINJA, Necessary Intention. But then as I talked about negative attention – let me start that over. As I talked about negative reinforcement, only perpetuates a habit. So, to change a habit, you have to have Non-Judgmental Awareness, that’s the NJA of NINJA. Non-judgmental awareness means mindfulness of simply noticing what you just did and never saying if it’s in accord with or against your intention. And rather than beating yourself up, you don’t judge yourself, you just count. You either count the number of times you do it, or you rate the extent to which you did the intention or the opposite of the intention. So, for example, if your intention is to swing without holding back, swing freely, you write the word ‘swing freely’ free from interference on your scorecard, and you rate each full swing on a 1-5 scale, where 5 is no interference and 1 is total interference and total holding back. The more fours and fives you get, the better golf you are going to play. If you want to eliminate the ‘anyways’ that I talked about of not being ready and going ahead and swinging anyway, you count this and you just put a mark down for each one, each time you do it and at the end of the round, you could them up and say, ‘Oh, today I had eight anyways, my intention is to have less and less of those.’ I’ll give you an example of how this works. I had a golf-pro, a club-pro, whose friend sent him to me because he said, my friends won’t play with me anymore. He was like a little kid. He said, ‘My friends won’t play with me anymore until I come and see you because I whine about and complain about every shot.’ So, what I had him do is just – and he says, I have tried to stop. And I said, don’t try to stop, don’t beat yourself over it, just count the number of times you complain during the round of golf without judging yourself. He called me back and he said, ‘Okay, my first round after we talked I had 60 complaints and he shot a 72 and probably had 12 [Inaudible 0:35:18]. So yes, he complained about every shot, but the next round – I said, don’t judge yourself, you just count it, your intention is to do it less. The next round he had 27. The third round he had seven and his fourth round he played without complaining about a single shot. What he discovered was, when the negativity of complaining disappeared, you know, that’s the clay on the statue that I talked about, the gold of positive intentions started to showing up. He said, ‘I actually hit a ball in the woods and instead of complaining about my situation, I looked for an opening that would put me a good distance from my iron away from the hole and gave myself a chance to get up and down for par.’ And that is how he changed from complainer to somebody with a positive attitude. 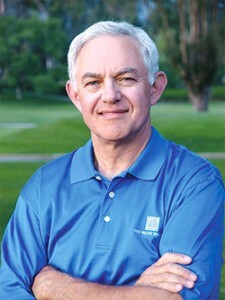 Dr. Joe Parent has coached the mental game in business, life and golf for over 30 years. A distinguished PGA TOUR Instructor, he has attracted such clients as major champions Vijay Singh, David Toms, Juli Inkster and Cristie Kerr. Now in its seventeenth printing, there are over a quarter-million copies in print world-wide, including foreign editions in seven languages. 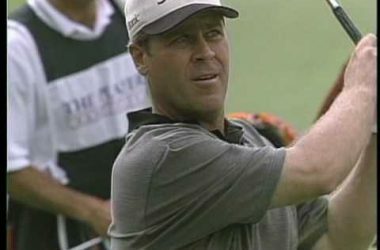 As a result of his writing and his instruction of PGA TOUR players, Golf Digest named Dr. Joe to each of their lists of “Top Ten Mental Game Experts” in the world, and made him a featured instructor in their popular instructional section: “Breaking 100-90-80 and 70.” His work was also highlighted in GOLF Magazine, in an eight page spread entitled “Come On, Get Happy,” where Dr. Joe helped two editors at the magazine shoot their best rounds ever! In the early 1970’s, Dr. Joe encountered the mindful awareness practices of Buddhism that explained self-defeating patterns of behavior and provided profound methods to transform them. 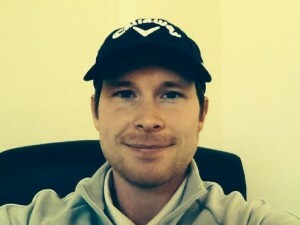 After completing his Ph.D. in psychology, he began bringing his insights to golf and business. Since then he has become a renowned and sought-after instructor of the mental game in all aspects of life; teaching the path to success to hundreds of professionals and amateurs in golf and other sports, as well as to top executives seeking cutting-edge business insights. He is a highly regarded keynote speaker at corporate, celebrity and charity events hosted by companies such as Bank of America, Morgan Stanley, Pimco, Merrill Lynch, UBS, Dreyfus, Pratt & Whitney Rocketdyne, Salomon Brothers, Transamerica, Fidelity, AIG, CBRE, the World Presidents Organization, PGA of America, the Tiger Woods Foundation, the First Tee Foundation and many others. Dr. Joe has been featured on CNN, NBC’s Today in New York, HBO Sports, ESPN, and many appearances on The Golf Channel. 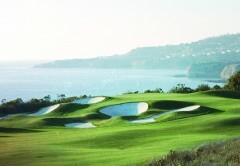 The ZEN GOLF book is featured in a widely circulated MasterCard “Priceless” ad, and had its own cameo appearance being read by Ray Romano on “Everybody Loves Raymond,” and HOW TO MAKE EVERY PUTT was read by Malcolm McDowell on “Franklin & Bash.” Dr. Joe has coached Ray, Malcolm, Michael Bolton, Kevin James, Anthony Anderson, George Lopez, Bernie Mac, Michael O’Keefe (Danny Noonan in Caddyshack), Richard Schiff, Robby Krieger (The Doors), Hall of Fame running back Marcus Allen, world champion boxer Oscar de la Hoya, and many other elite athletes and celebrity golfers. Dr. Joe Parent teaches at the Los Angeles Country Club and at the Ojai Valley Inn and Spa Resort, Ojai, California. Chris Bertram: You know, I guess, the point there is, we live in an era where technology is so available and so cheap, and you go into most golf courses now and you have learning academies with Flight Scopes and all sort of forced platforms, and everyone’s phone has a slow-motion, high-definition camera on it, and every time I go to the range, I see people utilizing these tools. It’s not that there are necessarily bad, but we don’t have a really good understanding from a research perspective on how to use them properly. One of the things we did a few years ago was a study looking at the value of simple video feedback on helping players improve. So we set up a very simple manipulation whereby you know, one of the groups of players that we have, just hit balls on the range for a period of time, and then we tested them before and after to see if there was any improvements. So the first group just had time to stand and hit shots and do what you might call self-guided practice. The second group we had spend some time with a coach so they were getting a lesson. So they would spend some time, they would get some feedback from the coach after every one of their swings about what they could do a little bit better. And then the third group of people had time with that same coach, but the same coach was giving the same kind of verbal lesson, but also used video about every fifth trial or every fifth practice swing as a supplement to their coaching. And so when we looked after the fact, because I will admit going into this, this was back around the time when video was becoming very popular and readily available and analysis software tools were coming on the market, and the first time I ever tried it, I thought wow, this is an amazing tool to see what you are doing. It’s so obvious to the naked eye what you are doing wrong with your golf swing as opposed to trying to figure it out through feel and I thought you know, let’s study this and let’s see how much of a benefit it is. To our surprise, what we found out was that the group that spent time with the coach improved, but then the group that spent time with the coach and had the video actually got worse. And not only did they get worse in their pre-test condition, they actually got worse than the group that had no coaching at all. This was fascinating because it quickly opened my eyes to the fact that just because you have access to information, doesn’t necessarily mean that that information is always useful. Now is it possible – now, we were using golfers that were very low skill level, high handicappers in other words, and it’s possible and lot of people made this comment after we published the paper, “Well, that’s because there are at a really low skill level and you are just overwhelming them with information and they just were – paralysis by analysis.” And so you know, obviously then the next question is, could a skilled player go through this same paradigm and show improvements? And so we did that study also, and we found that you know, pretty much the same thing, maybe not to the same extent, but even more skilled players were struggling with getting better using the video feedback. Now that’s not to say still that over time and utilized properly, video can’t be a useful tool. It’s just that we don’t know. We don’t have the science to back it up and what we do have is everybody with this technology in their back pocket using it with the assumption that it is going to help them. Cordie Walker: Wow, that’s amazing. One kind of simple question, but how did you measure improvement? Chris Bertram: Yeah, so we had people, they’d come in before they would get any kind of practice whether that be with the coach, or the video, or the self-guided practice and we just had them hit a series of about 25 shots, and we measured them using a launch monitor and so you know, we looked at things like consistency of the face angle at impact. 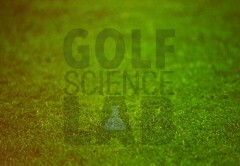 So are they able to – this was a study that was done indoors using a launch monitor and hitting into a net, so it’s a contrived environment, but that’s research in many cases, but we looked for improvement in terms of you know, how often they were able to square up their club fact at impact and then how consistently were they able to do that over the course of a series of shots and then after their practice session, we would do that same procedure again. We’d have them hit a series of shots, and look at certain things that we looked at that would be indicators of improved performance. Are they getting the club face squared up more often, and are they doing it more consistently. Cordie Walker: Yeah, that makes sense and you mentioned something that you are using the video like every five shots? 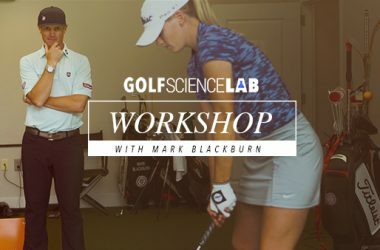 Interviewer: So you know, after talking with Dr. Tim Lee about guidance and feedback devices, he was saying that a very basic premise is you shouldn’t use it on every shot. So you guys were already implementing that. Cordie Walker: What are other ways that people should be using video then, like you said, using it properly, do you have any ideas on how to use it properly? Chris Bertram: You know what, to say yes to that, I feel like would be overstepping. Like I’ve had experiences with certain people where I feel like video was helpful to them, but I’ve also seen the opposite where somebody saw something in their swing on a replay, and it wasn’t something we were trying to work on, but it got in their head and then they started trying to make a change that we weren’t really trying to work on, and that set them back. So, to me, it’s very much you know, proceed with caution. 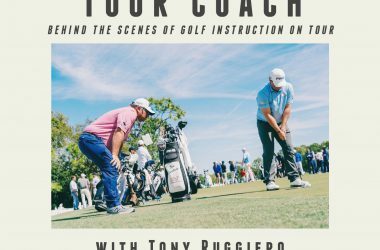 I think you know, frankly, you could say, the only recommendation that I could say that as a teacher or an instructor of golf, use the video for your own purposes first, as a coach, then use it with the players sparingly. So you might be able to take somebody’s swing and really break it down and study it on a slow-motion replay, but maybe use it sparingly when it comes to the player themselves and how much of that information they get to see because you can’t control what it is they are going to see, what it is that they are going to decide they need to fix because they don’t like the look of something, and then you could end up setting yourself back. 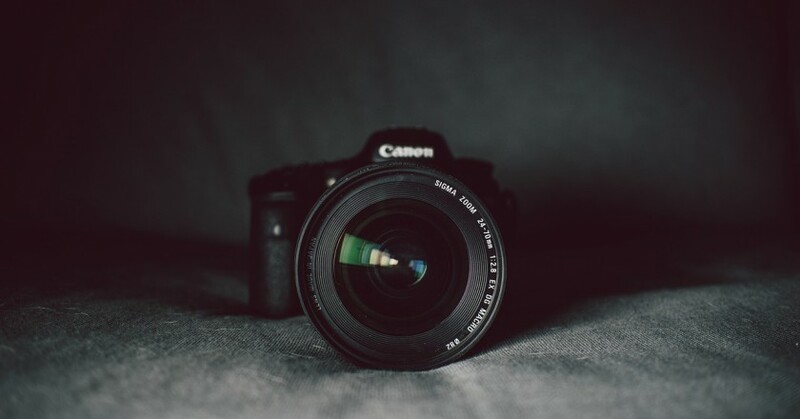 And we have seen some evidence of that in research where there might be an initial drop in performance after using video feedback, but over the long term, it maybe starts to come around and show some improvement. But the fact of the matter is here, we just don’t have enough research on how to use even video feedback which has been around for quite a long time, much less a flight scope where you can get numbers for days about every small aspect of your swing and your impact and your ball flight. 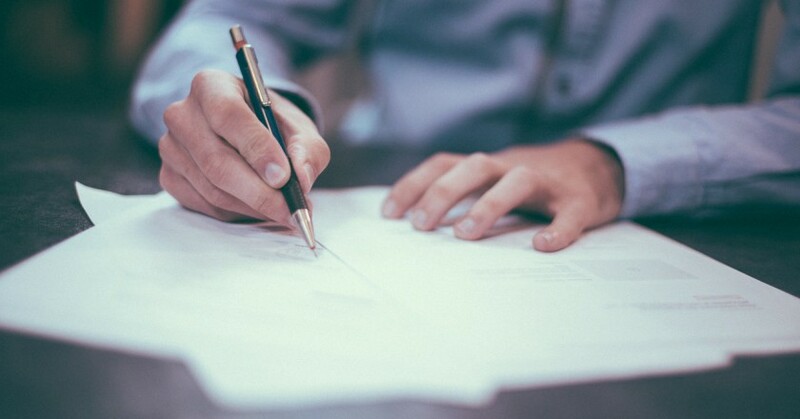 You know, it’s very easy to see, given what we have just discussed, how that much information can easily start to overwhelm somebody and maybe detrimental to their learning and improvement over the long or short term even. Cordie Walker: So, is the conversation maybe about more of the breadth of information ‘cause the video obviously is a lot of information. So is it maybe more about the breadth of feedback whether – let’s say the launch monitor, you narrowed it down so a person was just getting like one number that was all they could see, like is that something to get out of this? 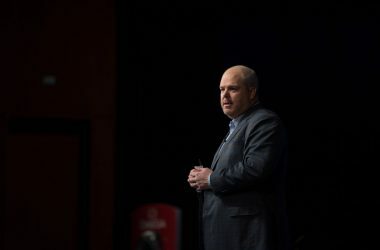 Chris Bertram: Well, it is I think, I mean, what you are saying, I think you are catching on to something here that we look at in motor learning is that what is the important information and how often should you give it to people, that is what people that study feedback in motor learning are ultimately trying to figure out. But the problem we have is that the kinds of scenarios that get set up in the research lab often use tasks that are nowhere near as complicated as golf, and so the application of even our basic science to something as big and complicated and psychologically perplexing as the game of golf. We’ve got a huge gap here in the research but yes, you are right in the sense that we do have to control it, maybe there is a certain amount of information that we should be looking to offer the player throughout practice that might be useful to them, but we don’t have a set of guidelines that can really help us here and that is what we are trying to do in the research labs and some of the applied research we are doing on the golf course, but right now, we just don’t know. Cordie Walker: Cool and did you guys do a retention test? Was that the study on video? Chris Bertram: Yeah, our retention test on that particular case was our post test, and so we had the pretest done everybody had practiced and the they took some time off. We had them go and ready some golf magazines for about ten or fifteen minutes, and then we brought them back for the post test. So in that case our retention test was done ten minutes after the completion of practice. Now, we could very well have brought them back the very next day and done a delayed retention test, but we did in this particular case. 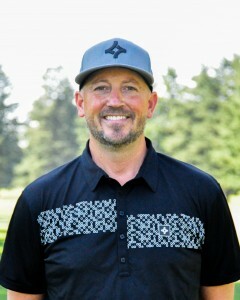 Dr. Chris Bertram is the head coach of the men’s and women’s golf teams at the University of the Fraser Valley. In Bertram’s 10 years with the program, the Cascades have never missed the podium in the PacWest conference. The men’s team won back-to-back PacWest championships in 2008 and 2009, and topped that by winning three in a row from 2012 to 2014. The women’s team has also excelled in conference play, winning championships in 2013 and 2014. At the national level, the Cascades’ crowing achievement came in 2013, when the men’s and women’s teams swept the gold medals at the CCAA national championship. Both teams climbed the CCAA podium again in 2014, with the women winning silver and the men taking bronze. UFV has now recorded podium finishes at the six of the past eight CCAA national championships. Bertram’s passion for golf goes beyond the course, as he also served for 11 years as Director of the Human Performance Centre and as an Associate Professor of Kinesiology at UFV. His research and teaching focus is in the area of motor skill acquisition with an emphasis on the nature of expertise and elite performance in athletes. 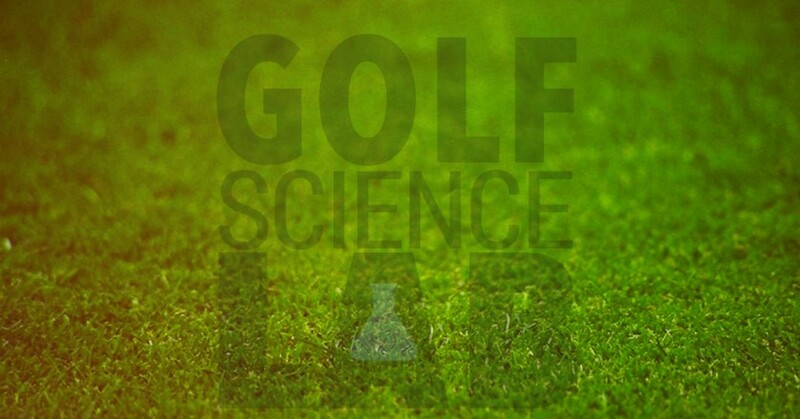 Bertram has published numerous scientific articles on the game of golf, and recently published a chapter in Science and Golf V. Bertram also meets regularly with golf teaching professionals to discuss how the science of golf applies directly to the teaching and learning of the game. 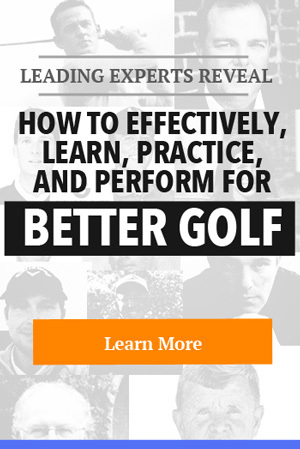 He currently sits on the editorial board for the Annual Review of Golf Coaching and has been featured on the Golf Channel and in the New York Times. Bertram has a Bachelor of Science and Master of Science degrees from the University of Nevada, Las Vegas and a Ph.D. from Simon Fraser University. He was named PacWest golf coach of the year 2010, 2012, 2013 and 2014, and was honoured as the CCAA golf coach of the year in 2013 and 2014. Hi Cordie, it’s Adam Young here, just giving you some thoughts on the notes you sent me with Dr. Bjork; so I agree completely with what he was saying about learning versus performance. All the research that I have seen myself and done myself supports this idea that learning and performance are often not the same thing. It’s not always the case but some of the things that can because the biggest decline in performance can also lead to greater long-term learning and the reverse is true also. 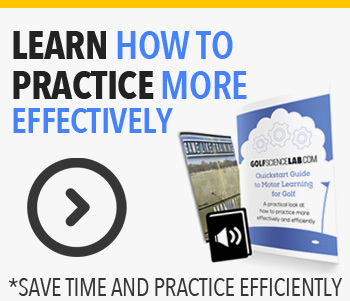 Sometimes, people can be performing really, really well during a lesson or during a practice session and the actual retention of learning or ability to transfer that to the golf course is completely gone. So, you know, this goes into instructing a little bit and we can fake learning during a lesson if we make a pupil stand there with a 7-iron, hitting to the same target over and over again, then they are going to be performing pretty well. But is that actually going to be transferable? Is that going to retain? And the answer to that is often not. It’s going to be a much lower rate of retention. But that’s not to say that we shouldn’t do that; as instructors, we have to balance out the expectation levels of the pupils as well as what is good for them. If we just did what was good for a pupil, we’d have them all random practicing most of the time. It’s not always the case. So some examples where that’s not true maybe if we are new to a person, then we might want them to stay in block practice mode just until they get accustomed to it. So in the early stages of learning that’s okay and it builds confidence too, which is important for a person to feel like they are learning at least. But once they get to a certain level, then we want to switch over to a more random practice. So once the mode of program is there, or built, we want to start improving our access to it and that’s when random practice comes in. But that’s difficult because people don’t understand it, it’s in our culture and I think most people instinctively feel that if they are performing well, then they are learning and so changing that mindset is going to be the biggest battle for the industry I think. So you know, I do a lot of writing on it, do a lot of blogging on it, to try and convince other people and try to help them understand the efficacy of it. So moving on to your question about how we feel after practice, so often people will predict their future learning based on their performance at the time. 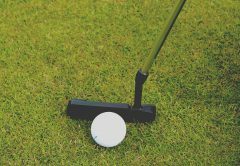 So if someone is just performed really well in a practice session, they will predict whether they will go out on a golf course and perform really well whereas we know that’s often not the case. It actually comes down. And that can be a big problem because if you walk on to the golf course with expectations that are very high and suddenly you perform average or a little worse than average, then that disparity between your expectation and reality can create a big knock in confidence and then that can set off a cycle of “What am I doing?” A little bit of self-doubt, “What went wrong?” which would start over-thinking, which then leads to a poor performance on the golf course. So that’s where a high performance on the range can really have a negative effect on the golf course. The reverse is also true in that if you get someone to random practice on a range or during a lesson, then their performance will usually be a lot lower, maybe even lower than normal and this will lower the expectations of a player. And although they may feel, at the end of a session, come off a little deflated, “Okay, I haven’t got that” or they think they haven’t got that, when they go on to the golf course and start performing average, their mindset is a little different because they are performing better than their expectations and they go, “Oh, that’s a little better” and that allows the confidence to raise. 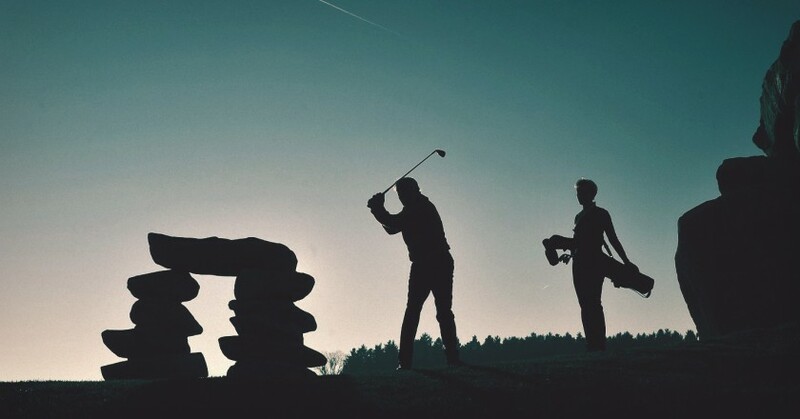 So how you perform on the range and how you perform on the course, you need to balance all these things like your expectations levels, your confidence levels and the performance levels. A lot of this goes into the topic of task difficulty; so if you set more difficult tasks for your pupils, that will then tend to create lowered performance but increased learning. However, everybody is individual and you are also having to balance the personality of the player in front of you; so some players will get very demoralized by having a task that’s set too difficult for them and that can actually hider learning in itself in that the confidence gets so low that the player gives up, their mindset flips over. The reverse is true also; if a task is too easy, that is not a challenge to a player, the learning is completely dropped. So I normally as a general rule, I stick to a three to a seven out of ten success rate. So if someone is achieving a seven out of ten success rate in the task that I have set them, I will consider it too easy and I would increase the difficulty incrementally by adding another constraint to it, or adding some level of difficulty. And the reverse is true if someone is only getting three out of ten; I would normally lower the difficulty level of that task so that it encourages confidence and a feeling that the player is learning. So practically what are some of the things that can lower performance but increase learning? Well, different ways of playing this could be varying targets; rather than hit into the same target over and over again, change it to the right side of the range, left side of the range, a little further, using different clubs also, or even hitting different shapes. So there are two different forms of practice which I would consider random or more random, and they are Variability Practice and Differential Practice. So Variability Practice is doing something that you want to do but in different ways. So this could be hitting your target but hitting it in different ways such as shaping it right to left, left to right, high or low, so you are achieving a target with a different trajectory. You could also try to hit the sweet spot by standing different distances from the ball, such as standing too close to it and hitting it on the sweet spot, standing further away from it and hitting it on the sweet spot or even addressing while hovering the club or having it lay down on the ground. It might be nothing that you settle on eventually when you go to achieve maximum performance but it helps you in learning coordination and lot of other things also. Differential practice, that’s a strange one and that is showing promise, but this is practicing things that you wouldn’t normally use at all. They could even be incorrect things such as trying to hit the toe, or trying to hit the heel, or maybe hitting as big a hook as you can, or as big a slice as you could. So you may never use these on the golf course but they improve your ability to coordinate things so when it comes back to calibrating what you want, you have an increased ability to do that. Again, if you want someone toeing the ball and heeling the ball, you would assume, based on their core performance, that couldn’t be further from the truth. In fact, I have done my own study where I got a couple of groups; one tried to hit the center of the face over and over again and one group tried to hit the toe and the heel. The ones that were trying to hit the toe and the heel are the differential practice group. After five days, they outperformed, in terms of ability to hit the center, the group which was trying only to hit the center. So if you have a look at their performance of those two groups during those two days or during the five days rather, you would assume that the ones that were trying to hit the center were learning more because they were performing better. But it flipped and it flipped – it took about five days to flip which again shows the long-term outlook with regards to learning. You can’t often see learning, it has to be inferred over, over few days or weeks or months. Adam has studied everything from motor learning research to brain function. 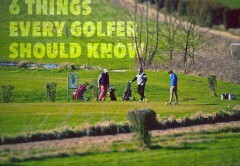 He combines knowledge in many different fields to make a more coherent picture of the golfer. Adam possesses a sound understanding of the technical elements of the swing, yet understands that great golf is much more than just the way you swing the club. 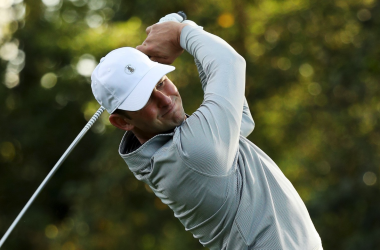 Adam currently teaches golfers the importance of developing skill as well as technique, and builds their games as a whole – including strategic and psychological strength. Adam’s theories are cutting edge, utilizing much of the newest research in the field of learning. 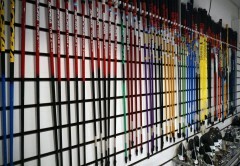 He presents them in an easy to understand way that will make you revolutionize how you learn the game. Adam has worked at some of the top facilities in the world, including the Leadbetter Academies and the World famous Turnberry Resort. He currently teaches at one of Europe’s most prestigious resorts in La Manga Club, Spain. He is also Author of “The Practice Manual: The Ultimate Guide for Golfers ”, a bestselling Golf book on Amazon. There is a lot of incredibly valuable research going on in the fields of player development and learning that coaches need to be familiar with. 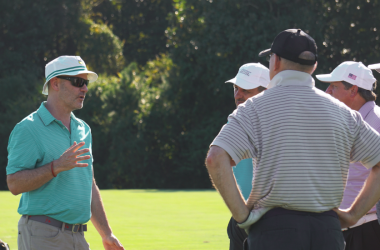 The golf-coaching world is changing, and it’s for the better. Coaches around the globe are paying more attention to developing great athletes and players. 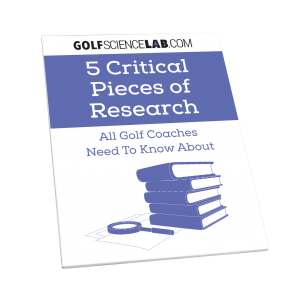 These 5 pieces of research are a foundation for golf coaches, and an introduction toward changing the way golf is taught. Enjoy this doc and want to further your education?